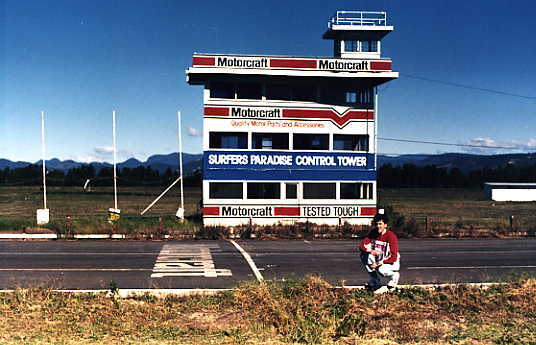 This track was located at Carrara, Queensland. After years of neglect it was finally destroyed in 2003. The site has since been redeveloped as Emerald Lakes canal estate ( 28° 0'59.99"S, 153°22'31.81"E). I stumbled upon this looking at old footage of the ATCC in the 80's. I'm interested in producing this track for rFactor, however I lack the skills required. I've started outlining the track in BTB using an old track layout map. I've been unable to find anything else to assist in creating this iconic track. Any help reproducing this track would be much appreciated. Sorry I couldn't get this going. Hey all. Sorry I have not been able to make any progress. I'm in the process of purchasing a house so once that's all settled ill have some time to get into it. Hey bwp85, what is your email address - I have found that circuit map I mentioned which details the lengths of the straights, corner radiuses and angles I'm sure it would be of great use to you. Great stuff! 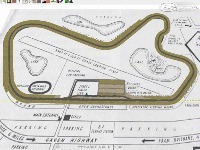 I loved going to this circuit as a kid and watching my father race. I saw some epic races at Surfers! How far have you progressed with the creation of this because that track map you are working from is pretty dodgey. The layout is a fair bit different to that in terms of corner radiuses etc. I believe I have a much better track map at home that I'll chase up tonight and email to you if you like. Really looking forward to seeing this done. 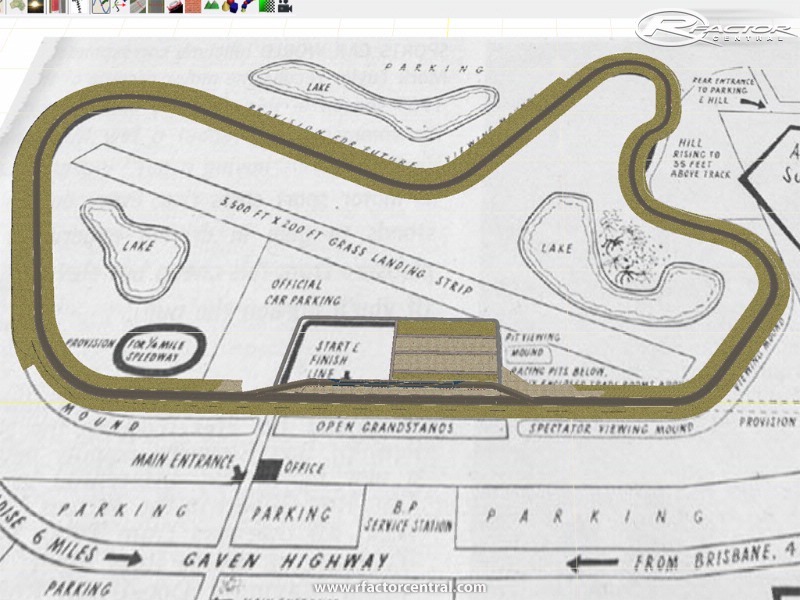 The circuit closed in 1987, I have some Motor Racing books from the '80s at home. I will see what i can find for you. Cheers for the pic. As you can see the only resources i have is the attached video and the basic track layout. I will most likely release a beta without a lot of the scenery detail as my main focus is to get the proportions of the track right. Hi I would love to see this track done, but getting information is hard these days.